Where Nintendo goes, others follow. 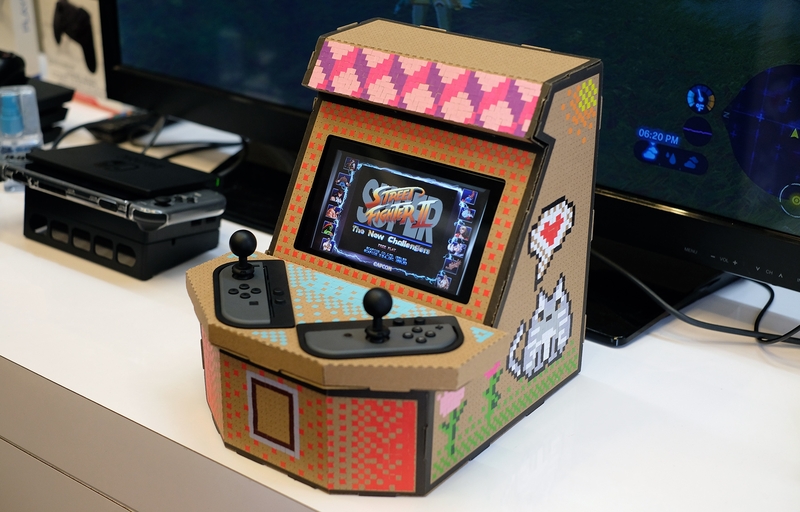 Off the back of Nintendo’s popular Labo cardboard kits, accessory maker Nyko has concocted its own cardboard creation — the PixelQuest Arcade Kit. Like Labo, it comes flat-packed as cardboard sheets. Where it differs is that the Arcade Kit doesn’t come with any software. 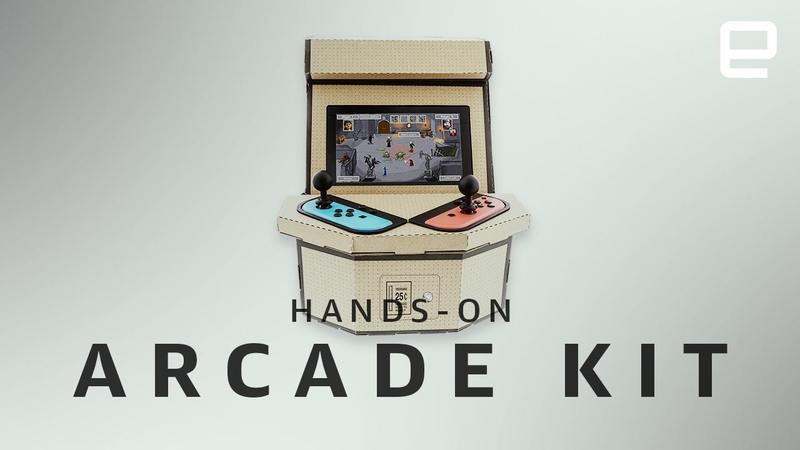 It’s instead meant to act as a miniature arcade cabinet for games that support play on a single Joy-Con. That’s a lot of games — including major titles like Mario Kart 8 — but the PixelQuest Arcade Kit is going to be at its best when paired with something like Street Fighter 30th Anniversary Collection or Metal Slug 3. I was unable to build the kit myself, so had to make do with the pre-assembled prototype on display at Nyko’s E3 booth. The cabinet is assembled in sections, with individual holders for each Joy-Con and a pair of plastic joysticks that clip onto their thumbsticks. This modularity makes taking the various parts of the Switch out of the kit easy enough. It’s actually pretty well thought out — there are even passthrough buttons that move the shoulder buttons on the Joy-Cons to match the traditional arcade six-button layout. Probably the most striking thing about the design was the pixel art on the side. This was just instructive, though; you’ll be able to decorate your own however you want. Playing with the model at the booth was just fine. I have fairly dainty hands, but struggled to pull off moves in Street Fighter II. This was partially down to the size of the setup, but mostly due to the wiggle room afforded the Joy-Cons in their holding tray. I’m told these issues will be ironed our prior to launch, but at one point, I pushed down harder on the joystick in an attempt to prevent it from moving… and it popped right off when I tried a hurricane kick. I’m not sure how much better Nyko can really make this. Sure, it can improve the dimensions slightly to prevent wiggle, and fine-tune the placement of buttons, but at the end of the day it’s always going to be an arcade cabinet made of cardboard. Luckily it’s only going to cost $20 when it launches late this fall, which is firmly in impulse-buy territory for a lot of people looking for a desk toy or a quick gift.